Full Name - Manoj Nelliyattu Shyamalan was born 6 August 1970. - Professionally known as M Night Shyamalan. 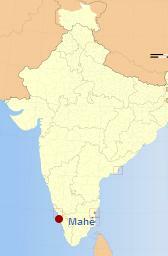 Born in Mahe Pondicherry (Renamed Puducherry (Meaning - New Village) in 2006),South India). His father, Nelliyattu C. Shyamalan, a physician, is a Malayali Indian, and his mother, Jayalakshmi, is a Tamil Indian and an obstetrician and gynecologist by profession. In the 1960s, after medical school (at the Jawaharlal Institute of Postgraduate Medical Education & Research in Pondicherry) and the birth of their first child, Veena, Shyamalan's parents moved to the United States. Shyamalan’s mother returned to India to spend the last five months of her pregnancy with Shyamalan at her parents’ home in Chennai (Madras). Shyamalan spent his first six weeks in Pondicherry and then was raised in Penn Valley, Pennsylvania, an affluent suburb of Philadelphia. He attended the private Roman Catholic grammar school Waldron Mercy Academy, which his parents chose for its academic discipline, followed by the Episcopal Academy, a private Episcopalian high school located at the time in Merion, Pennsylvania. Shyamalan went on to New York University’s Tisch School of the Arts, in Manhattan, graduating in 1992. It was here that he made up his middle name. Shyamalan had an early desire to be a filmmaker when he was given a Super-8 camera at a young age. Though his father wanted Shyamalan to follow in the family practice of medicine, his mother encouraged Shyamalan to follow his passion. By the time he was 17, Shyamalan, who had been a fan of Steven Spielberg, had made 45 home movies. Beginning with The Sixth Sense, he has included a scene from one of these childhood films on each DVD release of his films, which he feels represents his first attempt at the same kind of film (with the exception of Lady in the Water). 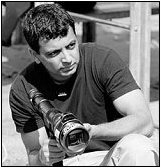 Shyamalan made his first film, the semiautobiographical drama Praying with Anger, while still an NYU student, using money borrowed from family and friends. It was screened at the Toronto Film Festival on September 12, 1992, and played commercially at one theater for one week. When the film debuted at the Toronto Film Festival, Shyamalan was introduced by David Overbey who predicted that the world would see more of Shyamalan in the years to come. Praying with Anger has also been shown on Canadian television. Filmed in Chennai, it is his only film to be shot outside of Pennsylvania. 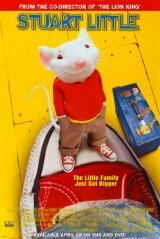 In 1999 M Night Shyamalan wrote the screenplay for Stuart Little. In 1993, Shyamalan married Indian psychologist Bhavna Vaswani, a fellow student whom he met at NYU and with whom he has two daughters. As of early-2008, the family lives in Gladwyne, Pennsylvania, near Shyamalan's usual shooting site of Philadelphia. He is a screen writer and director. He is best known for his work on the movies The Sixth Sense, Unbreakable, Signs, and The Village. Hallmarks of Shyamalan's films include unexpected plot twists, realistic treatment of horror or science fiction themes, camera shots taken at unique angles, and a cameo appearance by Shyamalan himself in each film. His movies are also noted for their sharp screen play, effective background score, and film editing. The movie The Sixth Sense, which tells about a boy's interaction with spirits, hardly used computer animation or a loud background score. On each of Shyamalan's DVDs is also a short home movie made when he was a youngster, which are often as humorous as they are intriguing. Shyamalan was raised in Penn Valley, Pennsylvania, United States a suburb of Philadelphia after his doctor parents emigrated to the United States. Shyamalan attended New York University's Tisch School of the Arts. It was here that he made up his middle name, Night. Shyamalan is married to Bhavna. A recent "documentary" about his life, aired on the Sci-Fi Channel, claimed that Shyamalan was legally dead for nearly a half hour while drowned in a frozen pond in a childhood accident, and that upon being rescued he has had experiences of communicating with spirits. The Sci-Fi Channel also claimed that Shyamalan had grown angry when he had discovered that the documentary would reveal certain personal secrets, and had therefore withdrawn from participating. The Sci-Fi Channel later admitted that both the "documentary" itself and Shyamalan's objections to it were part of a hoax, perpetrated with Shyamalan's participation. With the exception of his first film Praying with Anger (1992) which was filmed in Chennai, all of Shyamalan's movies have been filmed either in Philadelphia or elsewhere in the state of Pennsylvania. M Night Shyamalan on set of "Lady in The Water"